In the year 2000 (somehow, living in it never felt as futuristic and cool as saying it), I enrolled as a first-year undergraduate student1 at the University of Durham. For many among the student body, the most exciting thing that happened that year was the use by Warner Brothers of parts of the Cathedral grounds and cloisters for filming ‘Harry Potter and the Philosopher’s Stone‘. But while my fellow undergraduates occupied themselves with daily games of ‘Where’s Alan Rickman Getting Coffee Today?’2 I was trying to work out how to become a photographer. 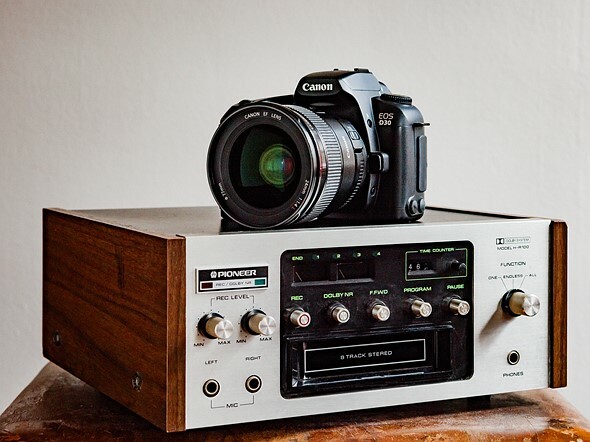 Back then, the most expensive component of photography was materials. Film, chemicals, paper and of course the associated hardware. An enlarger with a decent lens, tanks, trays and the physical space required to set it up. I didn’t have a darkroom at home, so I made full use of the facilities both at my college and later, when studying abroad in France. Over the course of my first year at Durham I took thousands of photographs, experimenting with different styles, different film stocks, and different ways of processing and creating images. Serious digital imaging was still out of reach to all but the wealthiest of enthusiasts at that point, but our student-run website bought a Canon Digital IXUS V in 2001 which I shot with a lot. Although it only offered 2 million pixels, had a crappy battery life and barely any zoom, after a long, smelly day in the darkroom, the IXUS V gave me a refreshing taste of the convenience – and potential – of digital imaging. 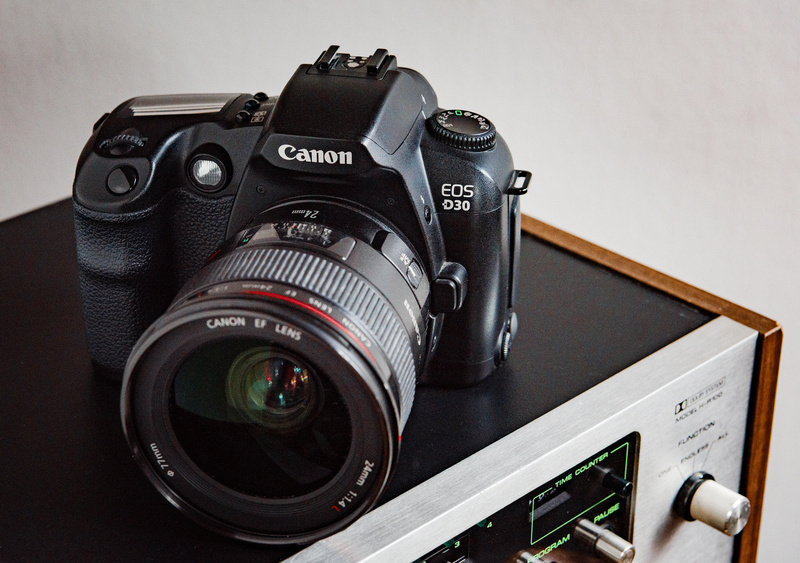 That potential had come a little bit closer to being realized late the previous year, when Canon released the EOS D30. The D30 was a groundbreaking camera for a number of reasons. Not only was it Canon’s first properly home-grown DSLR (previous efforts had been collaborations with Kodak, and were priced for the pro market), it was the first DSLR with an APS-C format CMOS sensor, and the first to come in at (just) under $3000, body only. I read early previews and reviews of the D30 voraciously. The sheer potential of the thing was incredible. Along with many other photography nerds at the time I had a whole new language to learn. Raw files. JPEGs. A few terms, like ‘unsharp mask’ I was familiar with from the darkroom, but others like ‘white balance’ and ‘color space’ were alien. Images from the D30 were amazingly clean and detailed, and up to ISO 1600 there was almost no grain – or, as I was learning to call it – noise. It’s easy to forget that for 35mm film photographers, shooting above ISO 400 was considered a bit risky. There were some decent general-purpose 800 ISO color emulsions, but film (color film at any rate) was never really great for low-light handheld shooting. As such, the ability to shoot good, clean, contrasty, colorful and virtually grain-free images above ISO 400 on the D30 was a revelation. The late Michael Reichmann took a lot of flak from purists back then for saying that images from the D30 were essentially better than film, but I thought he was right when he published that article, and I still do. When we shot our first Field Test video in 2014, I took my D30 along to record some ‘behind the scenes’ shots of the (then) brand-new Canon EOS 7D II being put through its paces. Such was the demand for the D30 when it was finally released that they were pretty scarce. Only once do I remember seeing a non-professional with one. He was a guest in the restaurant I waited in3 during my university holidays and he had it out on the table (of course he did). The restaurant was one of those rural boutique hotel restaurants with Michelin Star aspirations and prices to match, but too many covers (and too much corner-cutting) to ever be awarded one. At the time it used to attract a lot of what the head waiter dismissively termed ‘BDGs’, which stood for ‘builders4 done good’. Lots of money, but lacking in taste. The kind of people who would order a soufflé and then ask for ketchup.5 D30 man was a BDG. Another three years would pass before I owned my own DSLR, an EOS 10D. It took a whole year of working in that same restaurant to pay for it, and I never looked (or went) back. 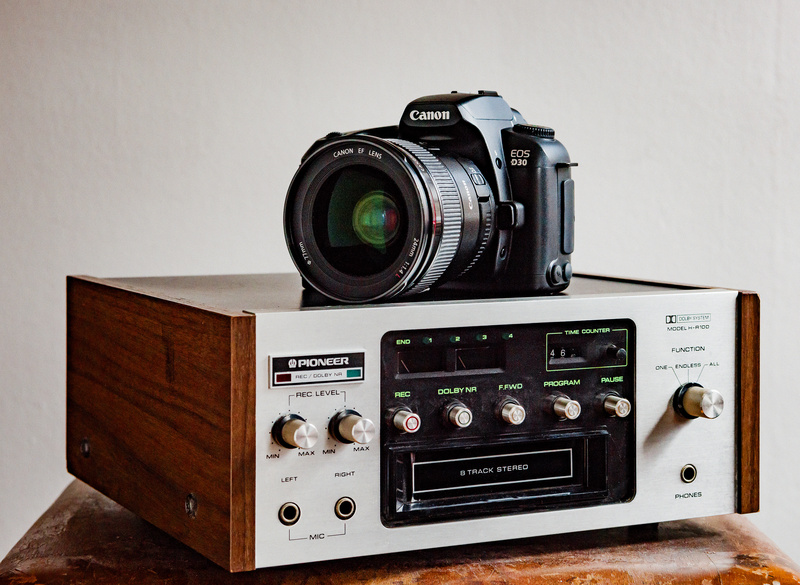 But it was another six years before I finally got my hands on an EOS D30. In 2009, not long before I joined DPReview I found one on Ebay, boxed and in immaculate condition.7 I didn’t need it, but I wanted it. There’s something very special about encountering things that you once lusted over – it’s like a kind of magic. The attraction never quite wears off. I won the bid (a very reasonable £100, if I remember correctly) and fell in love all over again. I still have my D30. I still shoot with it from time to time. And it’s still great. 1. English Literature & Philosophy, in case you were curious. Which, sixteen years on, means you can basically ask me anything about Mary Shelley’s Frankenstein. 2. Vennels, and the Café on the Green mostly I think. 3. For the benefit of our American readers, waited in = served in. I wasn’t just lurking in a restaurant. 4. Also for the benefit of our American readers, builder = construction worker. 5. I actually saw that happen once, but I was never able to confirm the story of another BDG returning his gazpacho soup because it was cold. 6. Schadenfreude, like gazpacho soup, is best served chilled. 7. Listed by a certain Ray Davies, of Birmingham England. Presumably not that Ray Davies.